“[G]ifts are freely given to others in the community. These are not leftovers or castoffs... nor are they hastily purchased trinkets. Rather, they give away the best of what they own, their finest. If we can afford to give away our best—if we can give away what we love the most—then we must be very wealthy, indeed." When SoKind user Stacie Mickelson told us about the holiday registry she created last year, I immediately thought of Muller’s description. Rather than creating a typical "wish list" of items to receive, Stacie and her family made a list of gifts they wanted to give to their loved ones. The Mickelsons' “reverse registry” included gifts of time (“dinner @ your favorite restaurant with the Mickelson(s) of your choice"), homemade gifts (vanilla, and fire cider), and gifts of skill (a professional headshot). They listed nonprofits and stores they wished to support. They even offered $25 donations to a loved one's favorite charity. We were so inspired by Stacie’s reverse registry idea that we asked her to tell us a bit more about how it worked (and worked out!) for her family. We also made it easier for you to create your own "GiveList" on SoKind! What inspired you to create a registry of items you wanted to give? In the past, my husband and I have suggested different alternative gift approaches to Christmas (making gifts, gifting only experiences, everyone getting/giving only one gift), but it has usually fallen a bit flat with our families. 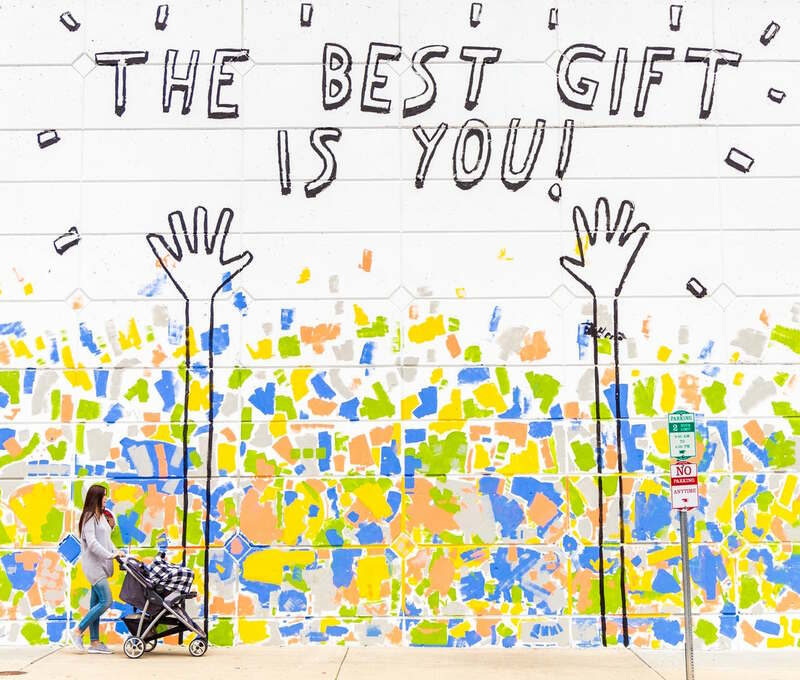 Each person feels loved differently and has a unique perspective on what gift giving should look like. I wanted to find a way to minimize gift giving, making gifts more meaningful, ethical, and enjoyable for everyone. We tried to have a balance of gift types, with options for people to either receive experiences or get actual physical stuff. For those who prefer opening a present, we had some options that we could DIY and also suggested a few shops that have a mission or philosophy that aligns with our values. We also offered a “mystery gift” and “opt-out” options, which were popular choices. To see the full registry, click here. How did you let your loved ones know about your registry? We used the built-in email function in SoKind to notify our friends and family about the registry, but we also followed up individually with people. How did your loved ones react to the reverse registry? Any pushback? It was mixed. Some people understood what we meant by “reverse registry,” and some didn’t. We had a few people pick their choices right away, and others we had to remind a few times. My brother Danny teased us quite a bit about how "complicated" we were making being minimal and simple. We also had people thank us and express how fun it was for them to pick their gift. What were 1-2 of your favorite gift items that you listed? I had two favorites. The first is a shop on Etsy called The Cooper Project, started by my friend Jen. It sells personalized jewelry, and, for every item sold, a necklace is donated to a mom who has lost a baby. The second was a Mystery Gift, where we told people that my husband Elijah would “purchase a surprise gift based on the secret desires of your heart.” We had a lot of fun with that one. Do you have any advice for others looking to create a reverse registry? Have a sense of humor, and don’t expect everyone to be on board right away. We treated it as an experiment, where it’s more about learning what works rather than trying to get it right on the first try. Have fun! We hope you feel as inspired by the Mickelsons’ holiday registry as we do! We are so inspired, in fact, that we updated SoKind to include official "reverse registry features." We're calling this type of registry a GiveList – to create one, just head over to SoKind and get started. And, as you brainstorm gift ideas, we hope you keep this question in mind: How can you give your best to the ones you love? If you need meaningful gift ideas, don’t forget to check out New Dream's More Fun, Less Stuff Holiday Catalog. It’s filled with hundreds of creative gift ideas for everyone on your list. Edna Rienzi is Director of Programs at New Dream.